Today’s article is from Laura Jackson. A few weeks she shared with us her story about leaving her corporate job starting her bootcamp for women. Today she is sharing part 2 on how she took that new bootcamp to a consistently full classes. When I first launched FIT CHICKS, we had 1 location in Toronto and 7 chicks showed up. Within a year, we had spread like wildfire to over 20 locations across Canada and were receiving daily emails and phone calls from women wanting us to launch programs in their area. We didn’t spend thousands of dollars on marketing. At the time we had a very limited website with little functionality. But we were in HIGH DEMAND (and have been ever since). So what did we do that was different than our competition? 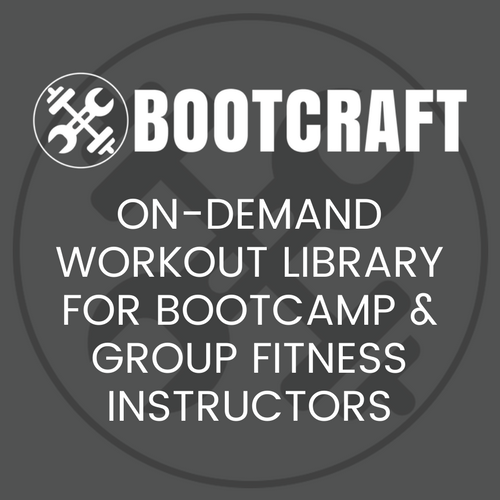 The reality is there are a million bootcamps, classes and trainers that your clients can choose from. So why are they going to choose you and CONTINUE to choose you? It’s not for the coupons, discounts or time slots that you offer classes. Here are 4 of our tips to building awesome (and packed!) classes…FIT CHICKS Style! When it comes to teaching boot camp, one of the biggest mistakes trainers make is not creating a true EXPERIENCE for their clients. Yes, they may teach killer classes and workouts but they are losing clients and not understanding why. Think about a hairdresser. When choosing a salon where you get the same awesome haircut, would you go to the dark, drafty place where no one knows your name (or cares to know it!) OR the bright, warm, cheery studio where you get a warm intro and a nice cup of tea? Both offer the same great product but I guarantee you would be choosing to spend your time and money where you feel comfortable, appreciated and is fun any day of the week! The same goes for boot camp classes. You have to not only focus on the workout but the WHOLE experience your client is having at EVERY class. In every FIT CHICKS class, we make a clear introduction of what the workout is for the day, what to expect from the workout pattern and how awesome the class is going to be to get the PUMPED. Throughout the workout we offer levels so EVERY chick can be included but always challenged. And we wrap up the classes with the same energy we started with and give a sneak peek what to expect at the next class. We know all of our clients by first name, follow up outside of class with weekly tips, recipes and workout videos and have a packed exclusive Member’s Only section. Clients know when they join us, they will not get this type of community, class or awesome support anywhere else and we make sure we deliver it EVERY class. Stop treating your classes as just a workout and start creating “experiences” like no other. You will stand out from the competition in no time! Your clients are your BIGGEST marketing tool. They are walking testimonials, social media marketers and the best referrers your classes will ever have. But they can not do that for you if you are not giving them something to talk about. Examples could be a super cool partner drill, a fierce challenge, an exercise that is completely “out of the norm” or a crazy, fun boot camp game. Just remember, when planning EVERY class, that you are including a stand out / make it memorable moment that will keep your peeps coming back for more and telling others how awesome your class is! By creating workouts that are signature to our brand, our style and our vibe, we are able to deliver consistency across locations but also use them as great marketing tools for our programs. When you create signature workouts, you are providing your clients something they know that they can not get these at ANY other gym or program. They feel value. They feel exclusive. They feel special. And they will pick YOUR class over the competition because they KNOW your “signature workouts” are awesome. 4. Make It Different… Every. Single. Time! I can’t tell you how many boot camp classes I have been to where the clients come in, roll out their mats and put their stuff in the same spot. At every class! It honestly feels like the “Ground Hog Day” of boot camp for the whole session aka BORING. This is a big NO NO. If your clients wanted routine, they would def not be joining a boot camp program. They are looking for something different, unique, challenging and FUN. To make sure you always deliver for them, your workouts and exercises should be different at every class (even if you create a signature workout pattern, change the exercises!). The way you set up and use your indoor and outdoor space should be different. Where you stand. Your music. Your equipment. Your warm up. Your stretch. Your clients should feel excited about what is about to happen at every single class. You want them to feel FOMO (ie. Fear of Missing Out!) so they WANT to come to every class so they don’t miss one of your incredible workouts. And the more they attend, the more results they get and in turn, the more peeps they will tell to help build your classes. At the end of the day, it doesn’t matter how many people you get in your classes if you can’t keep them. Your clients have to love it, see value and want to bring their friends, families and coworkers to check it out. Focus on delivering true experiences, “make it memorable” moments, signature workouts to YOUR brand or style and make it different – every single time. If you do, we can almost guarantee that your clients will fall in LOVE your programs so much that they will do the selling for you! PS. Want to add these strategies but not sure how? Don’t stress – we cover in depth how to create and build sold out programs in our upcoming 200hr Fitness & Nutrition Expert Certification online program to help you rock in the bootcamp biz and doing what you love. Laura Jackson is Co Founder / Head Chick of FIT CHICKS, the largest women’s only fitness company in Canada. With a focus on fierce fitness for ALL women, FIT CHICKS offers 8 week award winning boot camp style programs at over 20 locations as well as weekend health retreats and at home DVD programs. Since its launch in 2008, FIT CHICKS has helped thousands of women get fit and fierce. Certified Personal Trainer, IDFA Fitness Competitor, Culinary Nutrition Expert and Holistic Nutritionist, Laura is the TV Host of “Shape Up with FIT CHICKS” on Rogers TV. She is also a fitness and nutrition contributor to national publications and TV Shows such as The Huffington Post, National Post, Breakfast Television and CTV Morning Live as well as a health blogger for The Calgary Herald. Laura’s passion & commitment to women’s health has also earned her the title as 2015 Top 3 Fitness Professionals in Canada by Can FIT Pro and 2013 Stevie Award for Women in Business – Health & Wellness Company of the Year. Laura will continue her mission of getting women pumped about health on Season 9 of CBC’s Dragon’s Den, bringing FIT CHICKS “Fierce In 8” DVD programs to The Shopping Channel in Jan 2015 and the internationally recognized Fitness & Nutrition Expert certification program for female fitness professionals. These are great ideas, Laura! Thanks!